Just found out about this via Steph via Thoughtful Day’s blog. Nice to see some of my work applied with snarky writing, and I mean that seriously. 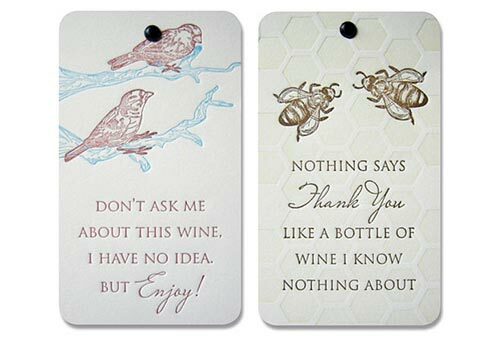 I get told sometimes that my work is very sweet, but the sarcastic sentiments at Popptags are more my cup of tea (or glass of wine, if you will). Popptags are funky little tags you can attach to that bottle of wine you give people you don’t really know well enough to buy a birthday gift, or it would also be good for dinner party gifts (yeah, I go to a lot of those alright). Haven’t seen any of these locally yet, but it appears you can order some online at their official site. Good idea! and of course great drawings. Yes, I would have thought the tag comments would be something you would come up with, they are fittingly sam. And do work quite well with your designs!